1.0.0.1 Attorney vs. Lawyer: Which is Appropriate? 1.0.0.2 What Different Types of Lawyers Are There? Choosing a career in the field of law can be difficult, due to the broad spectrum of careers that are contained with the legal profession. It can be compared to choosing a career in the medical profession. There are many specialties from which to choose as well as types of clientele that may accompany some specialties. 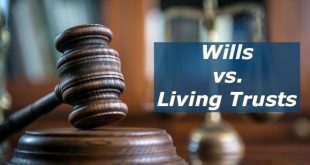 Attorney vs. Lawyer: Which is Appropriate? Before we begin examining the various career opportunities in the legal profession, it is important to understand some basic pertinent terminology. We have all heard the words “attorney” and “lawyer” used interchangeably with each other, and many people believe the two terms are identical in meaning. For the most part, the two terms can be used in place of each other with no problem; however, it is important to understand that they do carry different meanings as well as the appropriate application of each term. A “lawyer” is a person who is educated in matters involving the law. Simply stated, a lawyer refers to anyone who has successfully completed law school, regardless of whether he or she has passed the bar exam. A lawyer is not prohibited from performing legal services before passing the bar exam. For instance, he or she is allowed to work in certain circumstances in an advisory capacity but cannot serve as a legal representative for another party. An “attorney” is one who has successfully completed law school, and has also passed the bar exam. For this reason, while an “attorney” may be correctly referred to as a “lawyer”, the reverse is not always true. An attorney can practice law in certain capacities within certain jurisdictions, and can act as legal representatives for their clientele. He or she has the authority to apply interpreted law to the best interests of his or her clients. Lawyers who have not passed the bar exam are prohibited from serving in this capacity, although they may assist under the license of a bona fide attorney. The realm of legal representation is broad and varied. Some lawyers rarely see a day in court, while others are in court several times weekly. Some specialize in criminal law in which they represent people who have been accused or charged of breaking the law. The different types of lawyers are many – too many to list here in entirety. Plus, there are also specialties within specialties, for an even broader list of available types. Some prefer to focus their practice on corporate law. These lawyers are seldom needed in courtrooms, but are most commonly retained for drafting, reviewing and recommending contracts, policies and other agreements to protect their clients from civil altercations as well as keeping them from being out of compliance with legal mandates. Some lawyers specialize in matters involving family law. Their services include drafting prenuptial agreements as well as handling matters of adoption, divorce, child custody, child support, and property settlements. There is also a branch of legal representation that focuses on bankruptcy law. Lawyers who choose this specialty offer guidance for their clients in deciding whether bankruptcy is a viable choice for them, choosing the type of bankruptcy to file, and providing all schedules and documents required by the bankruptcy court. 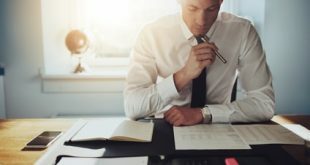 According to US News, there are other aspects of the legal profession that are not commonly known or recognized, yet may be an attractive choice for a beginning lawyer. -Journalism: More than a few law school graduates have found their way to a career in journalism. This is actually not terribly surprising when you consider that many journalists are required to report on matters involving court systems, court cases, and other matters involving the law. -Real Estate: A law school degree goes a long way toward preparing one for a successful career in real estate due to the concentrated studies on contract negotiations, tax laws, and recognizing and avoiding high risk ventures. Important note: Some say that law school is the wrong place to teach legal practice because law is divided into countless niches and to master any of them is impossible. When considering a specific area of law one should consider apprenticeship. This will give you the needed experience to gain a foothold into a specific field of law and propel your law career by giving you an edge over other eager applicants with no experience. Featured picture for different types of lawyers found here.